A. 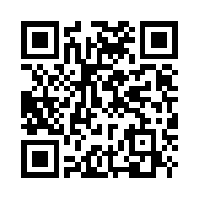 A QR Code (short for Quick Response) is a 2 dimensional block capable of storing up over 7000 characters. 2. Do I need a special device to read these QR Codes? A. Yes and No, Yes because you do need an iPhone or Android Smart phone and free software. No because no single purpose scanning device is required. Many people these days posess a smartphone or tablet with an integrated camera. 3. I can use the camera on my phone or tablet to read these codes? A. The short answer is very likely. A2. The long answer is if you have an iPhone or iPad you can download QR Code Reader and Scanner free of charge. A3. If you have an Android phone or tablet or a Kindle you can download Barcode Scanner from Google Play or the Amazon Appstore.